Moonrise Kingdom is a very quirky and unique movie that takes you on a journey of first love and the extents that they will go to be together. It is the summer of 1965 on an island coast of New England where two 12-yr olds meet, fall in love and make a pact to run away together in the big wilderness. Various authorities try to hunt them down as a violent storm begins to brew off-shore and the once peaceful island and community is turned upside down and everything is changed forever. · UltraViolet™: The revolutionary new way for consumers to collect movies and TV shows, store them in the cloud, and instantly stream and download to TV’s, computers, tablets and smartphones. Consumers can now truly enjoy their movies anytime, anywhere on the platform of their choice. Currently available in the United States only. · Digital Copy: Viewers can redeem a digital version of the full-length movie from a choice of retail partners to watch on an array of electronics and portable devices including computers, iPad®, iPhone®, iPod™ touch, Android™ and more! Blu-ray™ Hi-Def. They can view free previews and see what additional content is available to unlock on their device. 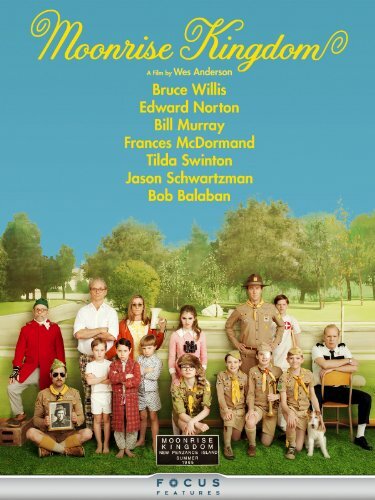 SET TOUR WITH BILL MURRAY: Bill Murray personally takes viewers on a tour of the MoonriseKingdom sets. I received this movie to facilitate an honest review. All opinions are 100% my own. I haven't heard of this before but will keep my eye out for it. Sounds good! This sounds like a movie I would love and I haven't heard of it so thanks for the review. I haven't heard of this one before. Thanks for the review.